The best way to have a fashion show would be in an Olympic Parade. Who would ever thought that the Most Serene Republic of San Marino would be able to pull off a catwalk of athletes? 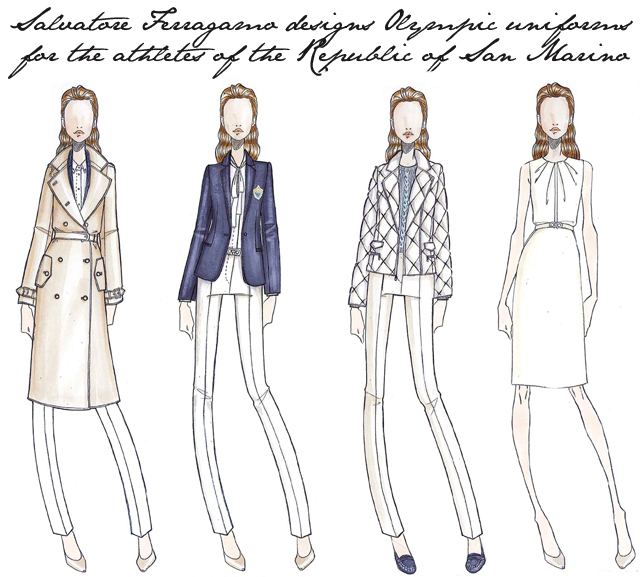 Its uniform designed by the one of the famous Italian designer Salvatore Ferragamo, created a very chic and fashionable athletes for the opening of the London Olympic 2012. It may be out of place, making it look like a business trip than an athletic competition, no matter, they look very classy, wearing Ferragamo from head to toe. With the goal of enlightening the youth on their rights as children and provide them a venue to express themselves through different artistic outlets, the Consulate of the Republic of San Marino in the Philippines, led by its honorary Consul General and PJ Lhuillier Group of Companies President and CEO Jean Henri Lhuillier, held an art therapy program called “Healing Through Arts”, for 15 orphaned children from the Department of Social Welfare and Development-Research and Study Child Center (DSWD-RSSC) at Museo Pambata recently. The program, in partnership with the Museo Pambata and the Art Dialogo, invited Anna Karina Jardin, founding artist of Art Dialogo Asia and renowed visual artist Khristina Manansala to teach the participating children introduction to colors, painting, and drawing. Top paintings were chosen at the end of the workshop to be displayed in the Museo Pambata. 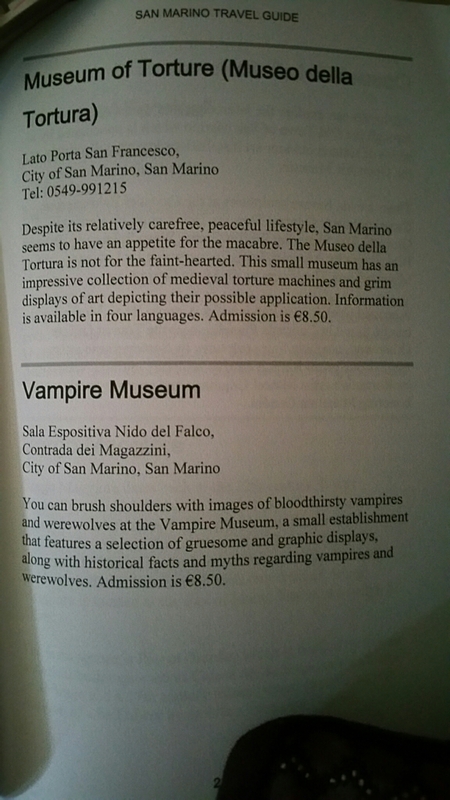 Moreover, the children were also introduced to the Republic of San Marino. The volunteers from the Consulate of the Republic of San Marino in the Philippines have also prepared games, lunch, and certificate of participation for the attendees. Nina Lim-Yuson, CEO of Museo Pambata also graced the event. “The Consulate of the Republic of San Marino in the Philippines has always been supportive of the introduction and appreciation of arts to the children. We hope that through this simple event, we were able to impart knowledge to the kids not only of the arts but also of the San Marino as a country,” Republic of San Marino Honorary Consul General Jean Henri Lhuillier said. The Consulate of the Republic of San Marino in the Philippines plans to continue the art therapy program for the children of DWSD-RSCC and its other beneficiaries and culminate the program through a day of celebration to be held in November for the Children’s Month. For those who are fans of the Supernatural beings…. Me: What should we do for the long weekend? So we packed up our big yellow bus / kidnapping van / rudimentary campervan and headed off in the wee hours of Friday morning. After the obligatory stops at Italian grocery stores to pick up delicious cheese inspired snacks, some car songs and fighting over stuff you fight about after you’ve been sitting in a tin box with someone for eight hours, we arrived! Hurrah! Our first stop was Ravenna, a beautiful beachside town on the east coast of Italy. Not having seen the sea since my trip to Mallorca in May – I was hanging out for a bit of beachy relaxation. This weekend I’m winding down the “Italy Adventure” series. Maybe one or two more posts after today. For me, retelling the journey has been a lot of fun; and I trust I have communicated the essential “fabulosity” of Italy for all of you. 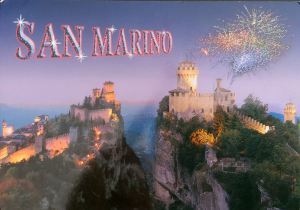 Today we’ll be visiting the Republic of San Marino. Founded on September 3, 301, the tiny nation – 24-square-miles – has continuously maintained its independence and its neutrality. Even Napoleon Bonaparte respected the republic’s right to exist. Then, in 1871, after San Marino provided refuge for supporters of Italian unification, Garibaldi exempted the state from integration. 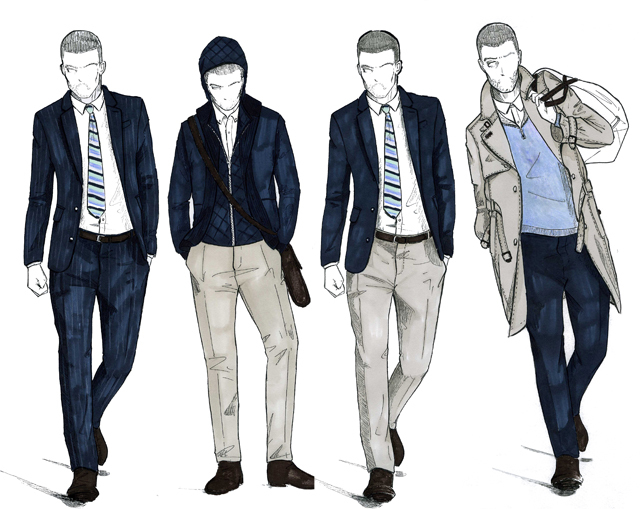 Old style is sometimes the best and the sweetest style. San Marino, officially the Republic of San Marino and also known as the Most Serene Republic of San Marino, is an enclaved microstate surrounded by Italy, situated on the Italian Peninsula on the north-eastern side of the Apennine Mountains. Its size is just over 61 km2 with an estimated population of over 30,000. 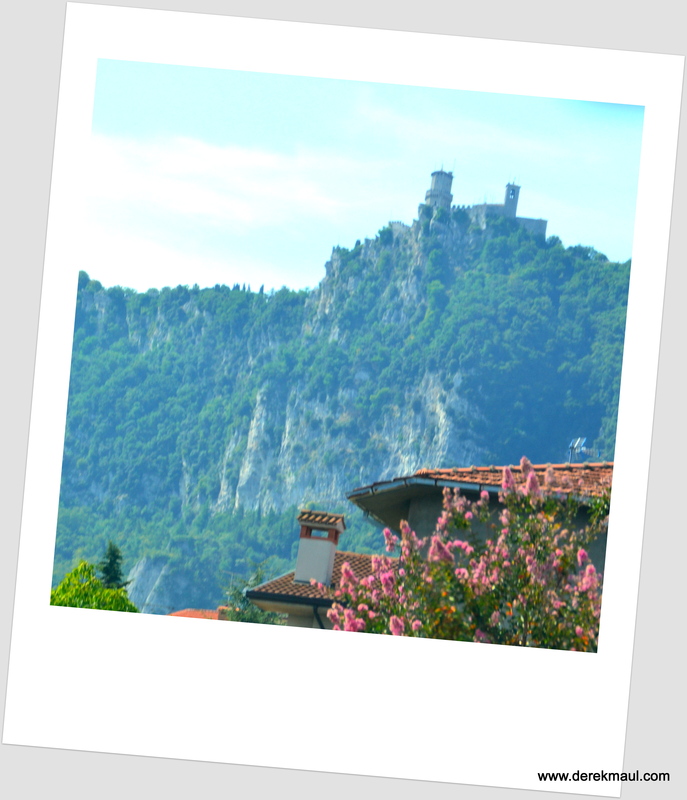 Its capital is the City of San Marino, its largest city Dogana. San Marino claims to be the oldest surviving sovereign state and constitutional republic in the world, as the continuation of the monastic community founded on 3 September 301, by stonecutter Marinus of Arbe. Legend has it that Marinus left Rab, then the Roman colony of Arba, in 257 when the future emperor, Diocletian, issued a decree calling for the reconstruction of the city walls of Rimini, which had been destroyed by Liburnian pirates. San Marino: time-tested republic and witness to freedom. 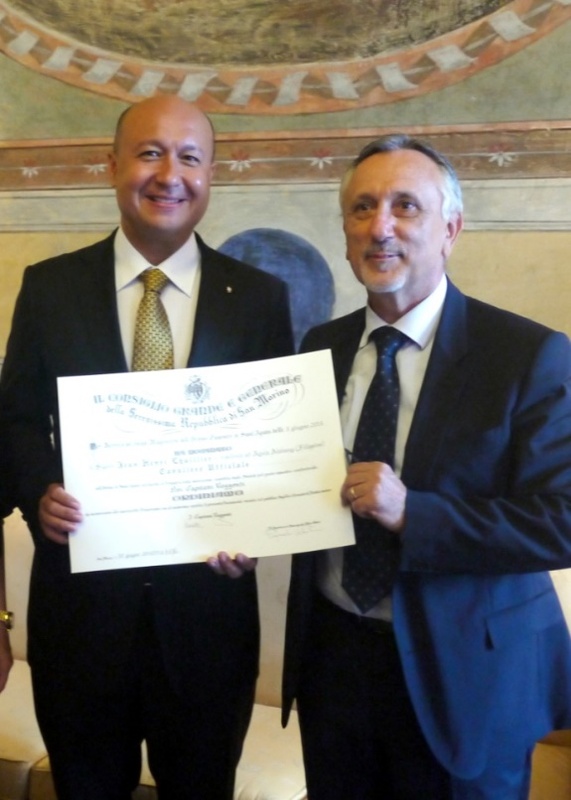 Jean Henri Lhuillier, the honorary consul general of the Republic of San Marino to the Philippines, was recently conferred the rank of Official Knight of the Equestrian Order of Saint Agatha and was given the emblem for Cavaliere Ufficiale dell’ordine di Sant’Agata by San Marino Secretary of State for Foreign Affairs Pasquale Valentini, with functions of Prime Minister of San Marino, in simple ceremonies held at the Palazzo Begni in San Marino. Lhuillier, who is also the President and CEO of Cebuana Lhuillier, the Philippines’ largest microfinancial company, received the knighthood in recognition of his active and consistent efforts to strengthen the bilateral relationship between San Marino and the Philippines. The Order, given only to foreign nationals who have positively contributed charitable and other services for the benefit of San Marino with at least 10 years of service, was bestowed on Lhuillier, despite serving for only seven years, because of his exemplary work and contribution to the state as its Consul General in the Philippines. “I am grateful to the Republic of San Marino for this valuable distinction. Seven years ago, they have entrusted to me the responsibility of representing them in the Philippines, and it continues to be an honor for me to take on the role. I may have been in service for less 10 years, but the state still gave this distinction for all my efforts here in Manila, despite the short service period,” said Lhuillier. Since his appointment to office in 2007, Lhuillier spearheaded various programs that promoted the culture, trade, and social programs of the microstate situated north-east of Italy. One of his flagship projects is the facilitation of San Marino’s inter-country adoption program, wherein he helped orphaned and abandoned young Filipinos get adopted by Sanmarinese families. Through this program, these children were given a chance to live a more serene life in San Marino, and assisting the candidates for adoption to be mentally and emotionally ready for the process. On the trade aspect, Lhuillier helped promote San Marino as a viable investment partner through coordination with the members of the European Chamber of Commerce of the Philippines, and with the local investors.. Lhuillier also helped promote the wines of San Marino, one of the major products of the country, through wine appreciation events. 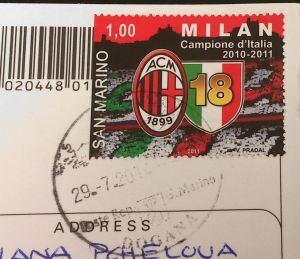 The consulate also exhibits a vast coin and stamp collection to promote San Marino as a haven for coin and stamp enthusiasts. The consulate also holds cultural awareness campaigns in the Philippines to promote San Marino’s rich culture and heritage. The Consular Office, located in Makati City, has set up a permanent exhibition of San Marino products and souvenirs, conducted educational seminars and museum tours for students, and held Italian language classes and film showing. On behalf of San Marino, Consul General Lhuillier has also organized relief operations for victims of national calamities and has assisted various organizations and communities in need. The Consular Office also conducts donation and charity events regularly. The Republic of San Marino, one the smallest republics in the world, is an enclaved microstate surrounded by Italy. Founded in the year 301 A.D. by stone cutter St. Marinus of Arbe, San Marino is one of the wealthiest countries in terms of GDP per capita. The country relies heavily on its finance, industry, services, and tourism.